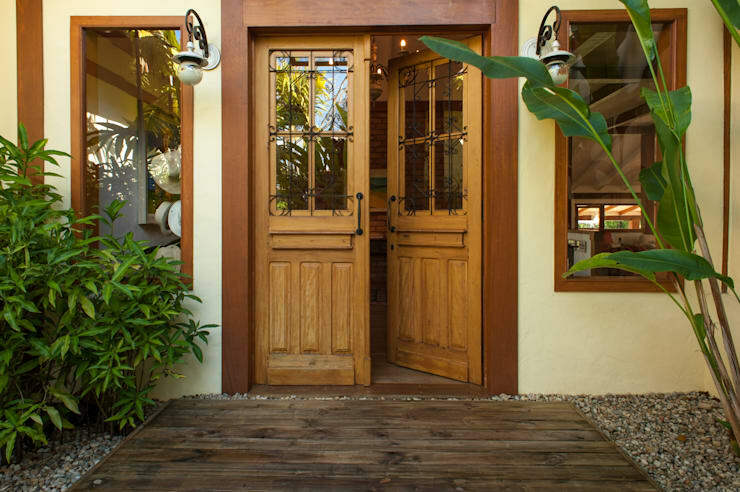 Think your front entrance is fine with a clean porch and front door that closes properly? Think again! 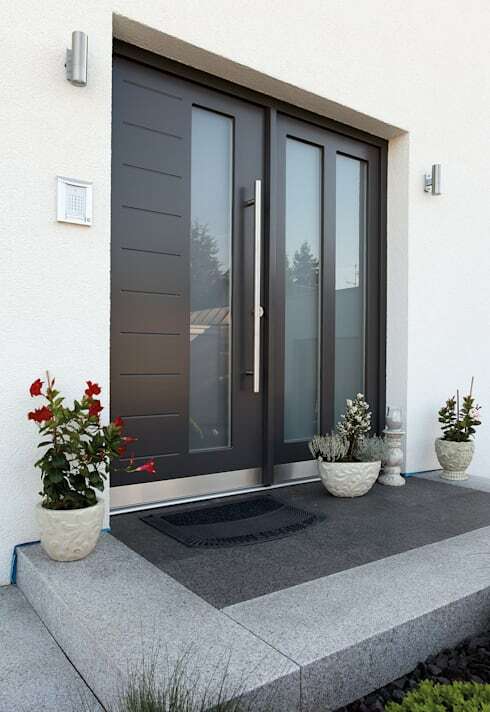 That front entrance is the first impression guests receive of your house, so why in the world would you not want to put some effort and style into it? 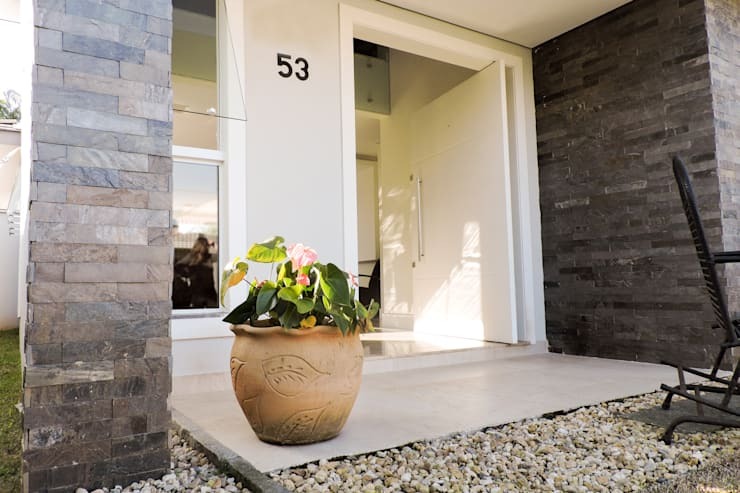 By adding a few details and beautiful touches, your entryway can help to change the look of your entire house, and set it apart from the other homes on your street. 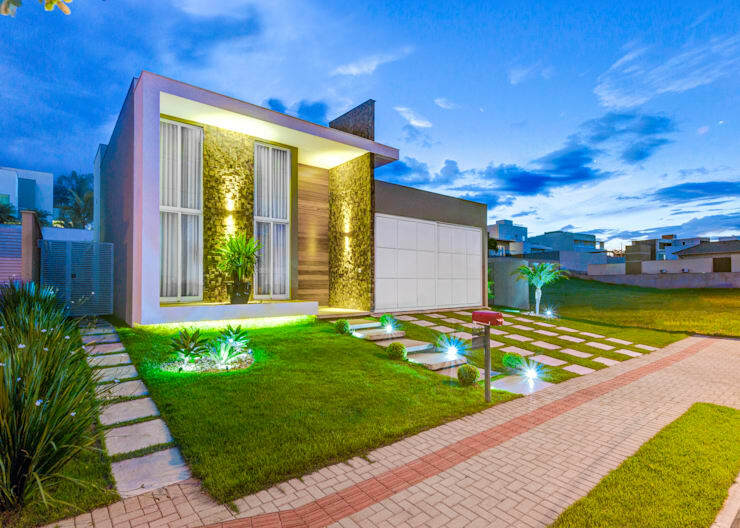 And don’t we all want to live in the best-looking house on the block? Sound good? Then take a look at these 15 suggestions in which you can style up your front entrance – isn’t it amazing what a fresh coat of paint and some planters can achieve? 1. 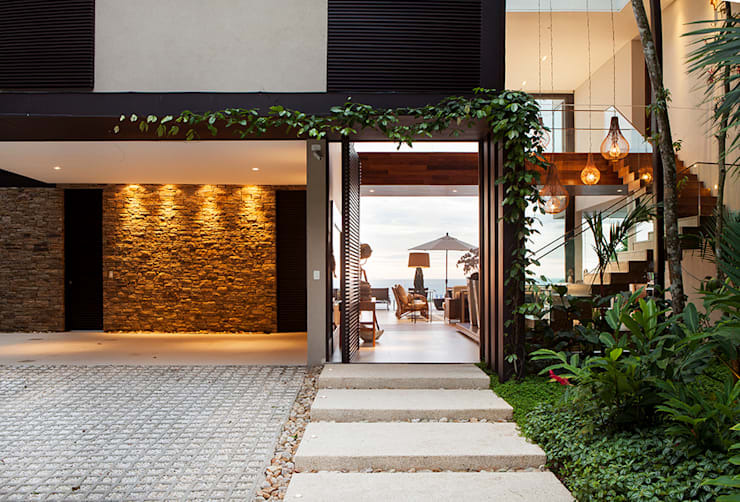 Stones can lend a very natural and rustic touch to a front entrance, especially when contrasting with a façade's smooth walls. 2. 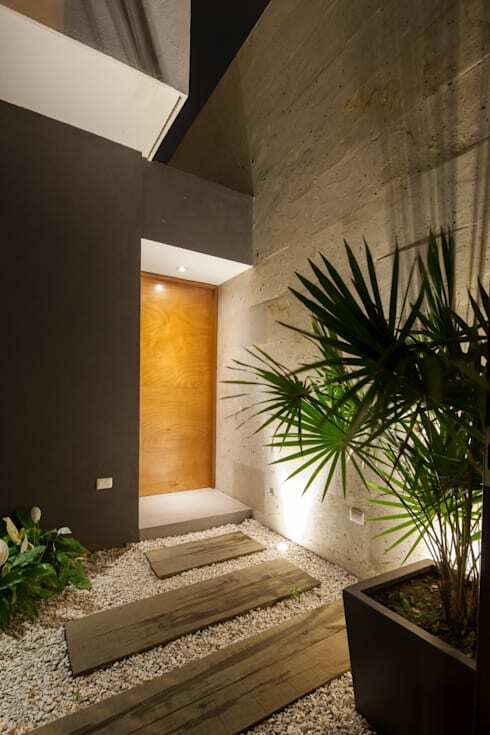 Not only does lighting allow guests to find their way to the front door, but it creates a soft and glowing ambiance that can complement your entire front façade. 3. 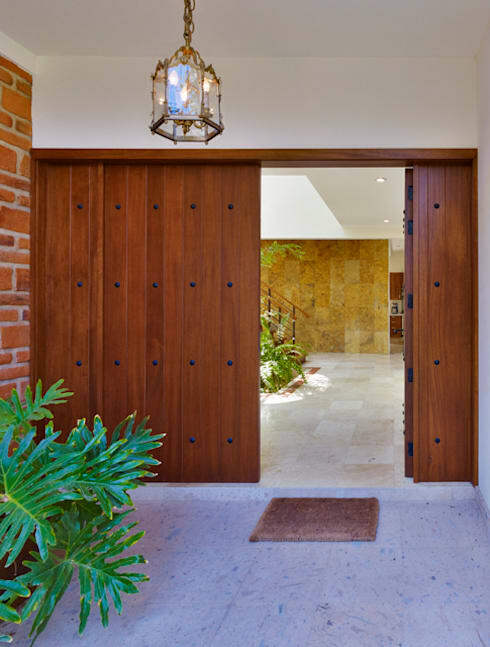 The quality of a front door is a crucial element, as it sets the tone for the rest of the house's design—see this fabulous wooden door that is timeless and durable. 4. 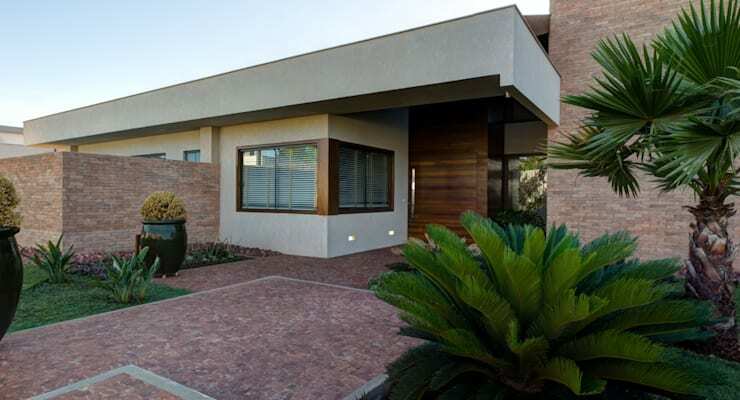 Plant some shrubs and trees, or just place some potted plants at your entrance for a soft and welcoming look. 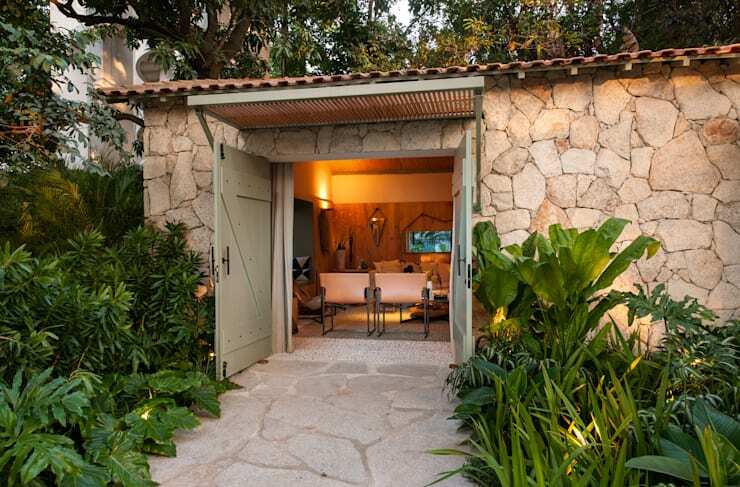 Architects, gardeners, and much more – we have them all here on homify. See our professionals page for more info. 5. Glass windows in a front door not only let in the light, but allow your guests a little glimpse into your house's cosy interior setting. 6. 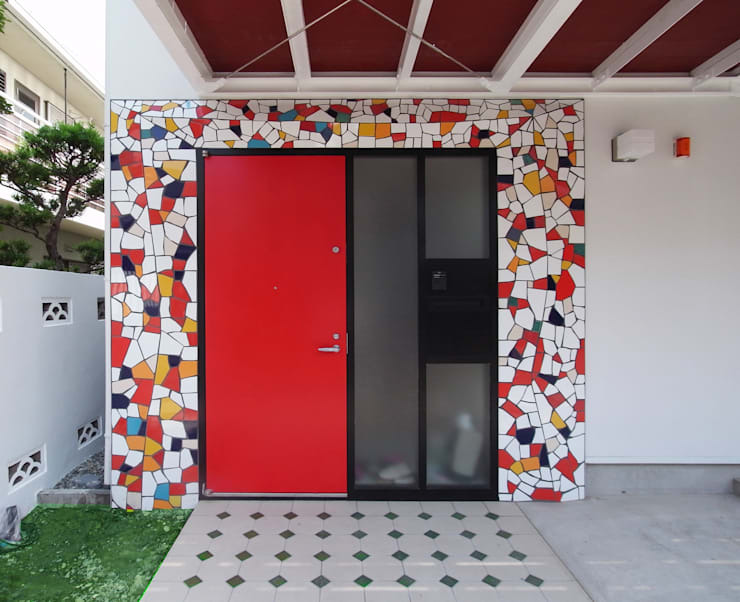 If big and bold is more your style, then opt for some bright colours and a visual appearance that stylishly announces where your front door is located. 7. On the other hand, less is more—so feel free to opt for a neutral colour palette instead. 8. You can never go wrong with flower power, especially elegant roses blooming right beside your front door. 9. 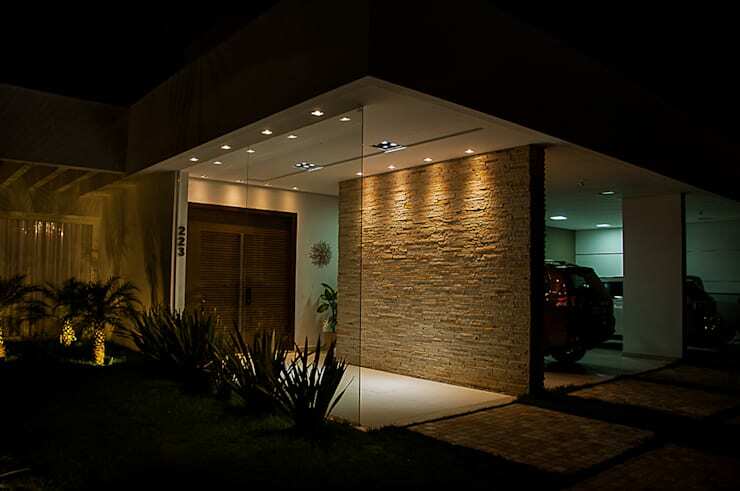 Make that sheltered entrance so much more with some sparkling downlighters, a stone focal wall, and a clear glass pane. 10. 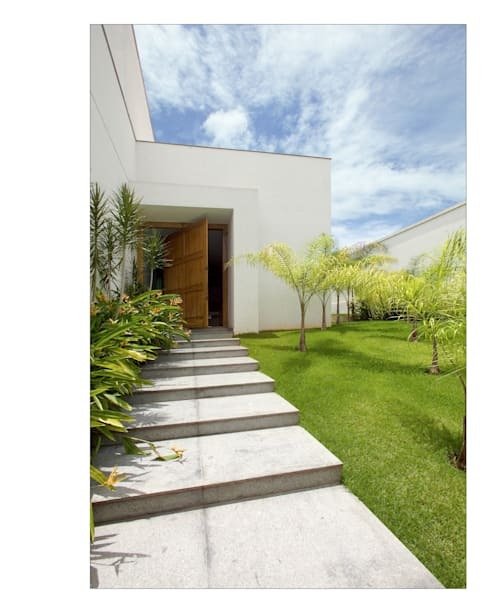 Huge stepping stones leading to your entryway can make a huge impact. 11. Feel free to make room for a parking area, but just ensure it doesn't result in a cluttered entryway. 12. 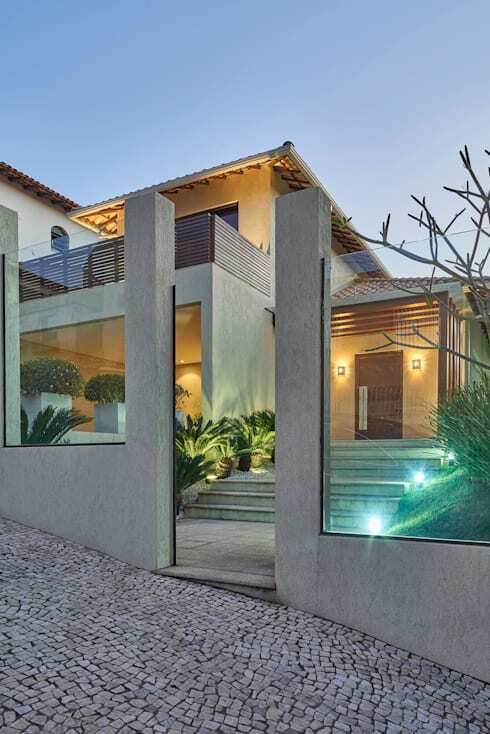 We love this uniform look: large floor stones mimicking the stone-clad surface of the façade walls. 13. A paradise of lights can be fantastically glamorous, just make sure not to overdo it. 14. This security wall with glass panes still allows some glimpses of the front door, yet keeps those nosy neighbours firmly at bay. 15. 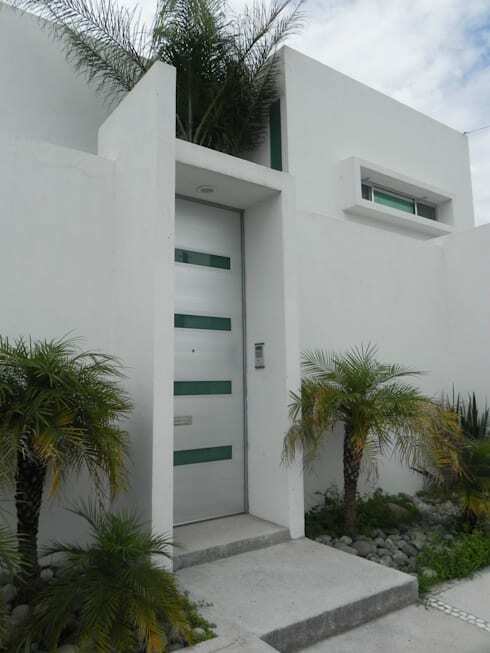 An all-white design can be so refreshing, especially when combined with a lush lawn and garden. Speaking of which, let’s take a look at a few simple ways in which you can: Improve your garden over a weekend.